A pair of developers with a history of unfulfilled promises, bankruptcy and faulty construction have found a willing partner in the City of Somerville, which will soon enter the final phase of ushering their most embattled plans into reality. After 10 years of legal tussles between the developer, residents and the city, a re-worked condo development proposal on Summer Street, near Davis Square, is scheduled to be presented to the Zoning Board of Appeals on April 20. With the lawsuits and acrimony mostly left behind, some fear the hearing process may only be a formality. Throughout the decade of battling over the lot, next to the George Dilboy VFW Post, the developers who have been planning to build on it have gone elsewhere around the city, putting up homes that continue to plague their owners with faulty construction. Tom Bok is one of dozens of concerned neighbors. Aside from the fact that many feel the proposed development is still too large, even after a mediation process initiated by the city, he has also learned about the developers’ past. Of the five occupied developments built in Somerville between developers Marc Daigle and Roberto Arista, most have faced constant construction issues requiring costly repairs to fix work that was often not up to code. It has cost the homeowners thousands. 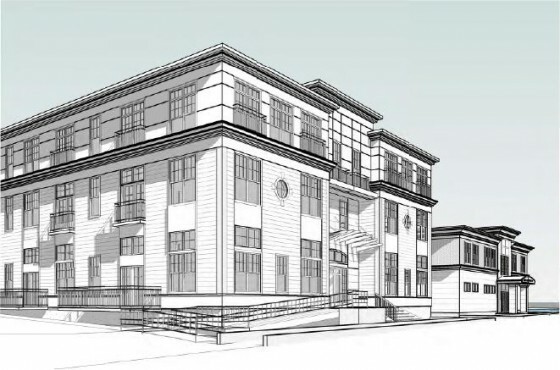 The problems faced by the residents at 1188 Broadway, ranging from a faulty roof to crossed gas lines, have been repeated at other developments built by Arista and Daigle throughout Somerville. In addition to the recently settled lawsuit the residents filed, a new suit has been brought by residents of a development at 23 Osgood St.
An 1188 Broadway resident with knowledge of the lawsuit recently settled against one of Daigle and Arista’s companies described his experience as a “nightmare,” and is puzzled that the city hasn’t taken them to task over buildings with numerous alleged code violations. “Except in City Hall, their name is mud in this town,” he said. That name, however, is constantly changing. In the past 10 years developments led by either Arista or Daigle have been built under the names Emerald, Dakota Partners and, most recently, Strategic Capital Group. The relationship, however, is more complicated than that. Nearly all of the company names associated with the developments built by Daigle and Arista share the same Waltham address as their principal offices, and the lawsuits stemming from their work implicate most of the entities they have used. In the coming weeks, Post Somerville will share the developers’ history in Somerville and elsewhere, and examine how the Summer Street proposal evolved in the midst of their struggles with a bankrupt and bank-owned project in Rhode Island, lawsuits alleging faulty construction and a group of neighbors’ fighting to be heard by city officials. While Di Girolamo claims that Arista is not Emerald nor Dakota, but even a cursory review at the Mass Corporate Divisions public records show several connections between the two, including as stated in the article, shared business addresses. How can we truly trust the misstatements of their attorney, when they can be so easily discovered to be patently false. We must work for development in Somerville to be of the highest quality, from companies with integrity, and without such questionable practices and pasts. We deserve the best, not the worst.